KSP Civil Police Constable Admit Card 2018: Karnataka State Police is shortly going to organize the Civil Police Constable Written Examination on 19th August 2018. Written Examination Call letter has been uploaded for POST OF CIVIL POLICE CONSTABLE ( MEN & WOMEN) – 2018, Download (from My Application) and attend the Written Examination as per the schedule mentioned in Call Letter. Written Exam is scheduled on 19.08.2018 is postponed due to heavy rain in certain parts of the state. Next date will be intimated shortly. 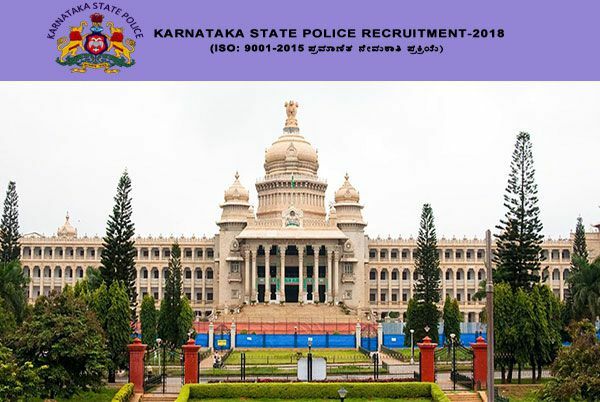 Candidates applied for the Civil Police Constable posts in the state of Karnataka have to download KSP Civil Police Constable hall ticket/admit card to proceed with the examination. Candidates will not be allowed to the examination without showing the admit card. Hence candidates have to get ready by downloading the hall ticket before going to the examination. The Karnataka Police Department is going to organize the Constable written test as per scheduled dates. Candidates applied for KSP Police jobs can download KSP Police Constable hall ticket before 10 days of the examination. Aspirants can download the admit cards from KSP official website, rec18.ksp-online.in. check more details, guidelines from the following article. Karnataka State Police (KSP) department was established in the year of 1965 and it works to protect the law and order in the state. The department annually offers employment for the suitable aspirants in various posts. KSP hires the suitable persons by conducting various rounds of tests such as written test, endurance test, and physical standards test rounds. Candidates need to qualify in all these tests to get the final posting. This year the KSP has advertised 395 civil police constable posts. Candidates desirous to become the constable in the state have applied for the announced posts during the application dates. The department is soon going to organize the examination for applied candidates. Hence aspirants can download Karnataka Police Constable admit card 2018 to attend the test. Hall ticket verification will be done at the examination center. All the hopefuls must carry the admit cards without fail. All the hopefuls competing for the KSP Civil Police Constable posts can download the hall ticket from the official portal, rec18.ksp-online.in. The Karnataka Police Department will release the hall tickets before 10 days of the examination (tentatively). After downloading the hall ticket on the prescribed date, once check the details of examination venue, date and time of the examination details from the admit card. Also, check the details of name, date of birth, register/hall ticket number, father’s/mother’s name, signature, photograph and other details printed on it. Contact the KSP authorities for any help required for spelling corrections or any other issues regarding the exam. While one thing the aspirants must remember is to carry the hall ticket without forgetting when appearing for the examination. Applicants also have to carry any valid identity proof copy such as Aadhar Card/Voter ID/Driving Licence or any others along with the admit cards. Candidate’s identity checking will be done with the examination officers before allowing him/her to the examination. On the homepage “Karnataka Civil Police Constable Admit Card 2018” Link appears on the screen. The hall ticket gets downloaded. Take a print out of it to carry it to the examination.